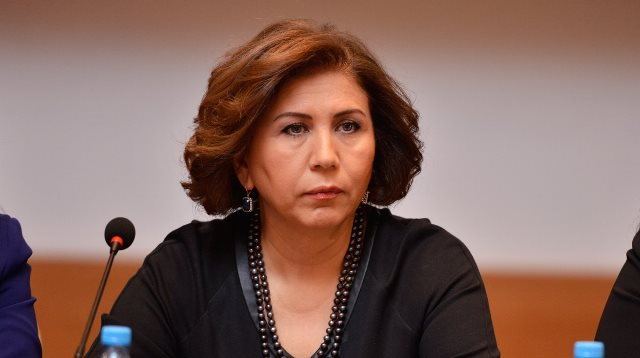 Armenia neglects commitments undertaken at the international level, Deputy Chairman of the Azerbaijani Parliament, member of the State Commission of the Republic of Azerbaijan on Prisoners of War, Hostages and Missing Persons Bahar Muradova said at a meeting dedicated to the 25th anniversary of the State Commission on Nov. 1. Muradova noted that Armenia committed crimes against humanity and mankind. "Crimes committed by Armenia are not only against Azerbaijanis, but also against all mankind. Azerbaijan consistently reveals the aggressive nature of Armenia to the world community. And we witness that this does not cause the serious concern of international organizations," she said. She also stressed that the prevention of crimes against humanity and the punishment of their perpetrators are the commitments undertaken by the Azerbaijani state.